Types of Projects: Cowls, sweaters, headbands, cuffs, afghans and more. Difficulty: Beginner, Advanced Beginner, Intermediate, Advanced with a very good mix of each level. 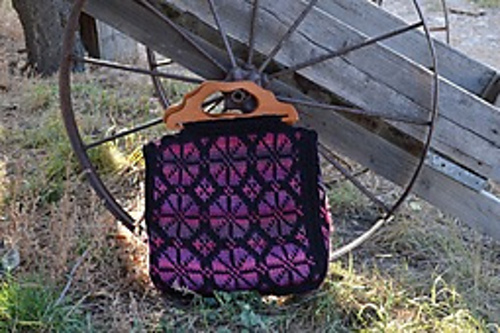 First Impression: This is a great alternative to those who love look of knitting, but don’t know how to knit. Review: There is something about the look of knitting that I love. Don’t you agree? But, if you’re like me and you don’t know how to knit, this is a great alternative! The book contains actual photographs of the stitch steps, which I love. This is so much help to anyone knew to this technique. There are also sections on substituting yarn, reading charts, carrying colors, tension, and so much more. In addition to the actual photos they also included general information (gauge, terms, abbreviations), as well blocking tips and more. If you’re unsure of these patterns because of all the color changes, let me assure you that you’ll be in good hands. Brenda has a color graph for each and every pattern in the book. Whether you’re a visual/chart crocheter, or new to Tunisian, you will definitely benefit from the added bonus. My favorite part of the “extras” in this book is actually the color wheel. There is an actual color wheel as well as tips on how to pick colors for working fair isle patterns. I’ve never seen this done and I thought it was an excellent addition to the overall concept of the book. Brenda put a lot of time into the fair isle designs of these projects. 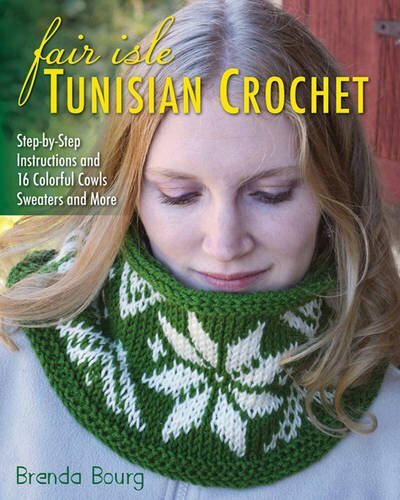 If you love Tunisian, or are just a fan of knitting and want to give Tunisian a try, there are an array of projects for you to choose from. I showed you just a few of my favorites. 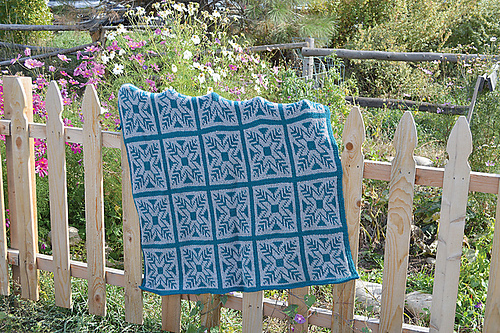 You can find more info about Fair Isle Tunisian Crochet here. This would be a new skill for me to learn. I’ve done Tunisian and have been looking for a challenge to do more with it. This is on my bucket list of trying a new way to crochet. The results are beautiful. I would love to win the book and try this. I’ve never tried Fair Isle Tunisian crochet before. I love the Elisabeth Afghan. Great review! LOVE LOVE LOVE Tunisian crochet. Never have I done Faire Isle Tunisian before. Would LOVE to learn how to. How gorgeous are these???? I remember watching my Nana do her “afghan crochet” and later taught myself. have done some basic Tunisian crochet and have been looking to learn something new. That two toned blue afghan is just breathtaking! I’ve done Tunisian before, but never Fair Isle. LOVE the way these all look!! Fair Isle Tunisian crochet is actually one of my New Years Resolutions this year. I made several things back when Tunisian crochet was known as an afghan stitch. Only tried it once in more recent years but I love the look and hope to do it again soon. i made a bag and several bow ties using Tunisian crochet but only using a single color. i would like to try more. I love tunisian, but have never done fair isle. I love the look and was bummed I couldn’t really knit well enough, but never thought about doing it in tunisian. Cool! I finally got your comment, Jessica! Yay! Hopefully you won’t have any more problems commenting. Thanks for your patience. Never tried Tunisian at all. I have never tried Fair Isle Tunisian, but it’s gorgeous!